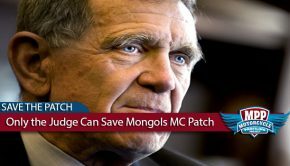 The recent decision by Judge David Carter in US v. Mongol Nation that the First and Eighth Amendments to the US Constitution prohibits the government’s request to seize the collective membership marks of the Mongols MC, including their club name patch and center-patch, is a victory for all. A victory that should be discussed and celebrated. However, the MPP also believes that part of this discussion should focus on the other implications to Judge Carter’s decision. Implications that aren’t being discussed because the focus has understandably been on the patch forfeiture issues. What other implications? Beyond the issues of forfeiture, a brand-new strategy to target motorcycle clubs under RICO has been born and legally confirmed. 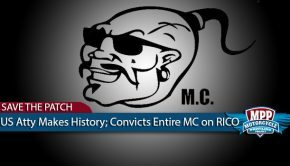 The idea that a motorcycle club can be indicted under RICO as an entity, regardless of other members personal guilt, for crimes committed by individuals already punished for those crimes, should equally alarm everyone. Although the government can’t take a club’s patch, they can seize a club’s property and impose huge fines. What else could the government do with this new theory of prosecution? In the government’s more than decade long mission to take the Mongols MC’s collective membership marks, and property bearing those marks, they stumbled upon a new theory of prosecution after previous attempts to take the patch were ultimately unsuccessful. The 9th Circuit ruled that the government couldn’t take patches and property from members of the club that had not been indicted because that would violate the First Amendment. However, the court provided a blueprint for the government’s next move. 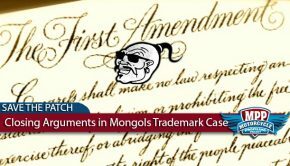 The court concluded that the Mongol Nation, the unincorporated association that owns the collective membership marks in question, would have to be indicted as an entity for the theory to work. So, that’s exactly what the US Attorney decided to do. US v. Mongol Nation has been the most recent result of the government’s new strategy. The Mongol Nation, as an entity, defined as all full patched members of the club, was charged and found guilty by a federal jury of racketeering and conspiracy to engage in racketeering under the RICO statute. That jury also granted the government’s request for forfeiture of collective membership marks, which Judge Carter set aside for Constitutional reasons. However, Judge Carter upheld the jury’s decision to convict and conditionally granted forfeiture of seized property. Specific items to be seized will be decided at a sentencing hearing set for April 24th, 2019. They can’t take a club’s patch, but guilty verdict on MC as an entity upheld. Leadership v. Rogue Actors- determining guilt for an association. So, what sentence will Judge Carter impose? Items to be forfeited include weapons, ammunition, body armor, and related items originally seized during ATF raids. This comes as no surprise to the MPP as it seems consistent with other RICO forfeitures. However, sentencing fines for criminal liability are not explained in-depth. How much can the fine be? Are there limits? Who pays the fine? The leadership? The membership? What sentences will we see in the future? Independent of sentencing fines and asset forfeitures, what else could the government seek in terms of criminal liability when a club is indicted as an entity? I’m not sure many people have a solid answer to this question. But I think the question is definitely worth exploring. After a club is found guilty as an entity under RICO, can the government feasibly obtain an order against any member of the club possessing or carrying a firearm? The answer may vary depending on what state you are in, but even the very pro-2nd Amendment state of Texas is revoking gun rights from individuals solely for membership in a motorcycle club authority label a gang. The sky may not be falling, but possible impacts to gun rights are at least a possibility, particularly in “may issue” states. What about employment? An individual without a criminal record is a member of an entity found guilty under RICO of Racketeering and Racketeering Conspiracy. Their employment contract requires that all employees not have a criminal record. Could it be argued that they now in violation of their employment contract? 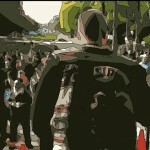 There is no way to predict what the federal government will do moving forward with the newfound strategy of targeting a motorcycle club as an entity under RICO. But there are empirical reasons to believe that whatever strategy authorities employ will not advance civil liberties. 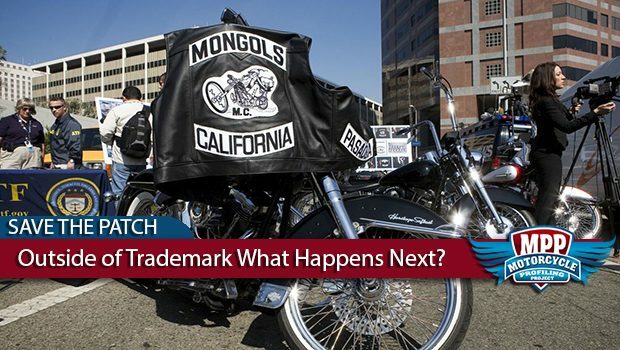 Who could have predicted the strategy to completely redefine the First Amendment before they initially tried to take the Mongols MC’s patch? Who would have predicted the government’s initial success? Who would have predicted that nearly 200 individuals in Waco would be arrested on generic aﬃdavits and incarcerated on $1-$2 million dollars bail instead of being questioned and released? Who would have guessed an individual could be arrested for Unlawful Carry in Texas as a LTC holder solely for being a member of a motorcycle club? 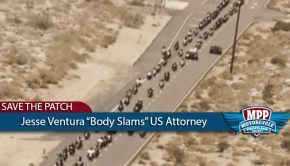 The Constitution does not seem to be a barrier in the decision-making calculus of authorities’ intent on targeting motorcycle clubs.